Follow the 215 Festival on Twitter to find out about upcoming additional events! Brat Productions presents a unique and utterly theatrical take on a Halloween tradition—the Haunted House. You move from room to room. Down twisting hallways. Through the heart of darkness. Into the unknown. Grounded in some of the best-known and most chilling works ever written, HAUNTED POE offers an immersive, multiple-sensory experience devoted to Poe’s peculiar genius. The show features scenarios adapted from “The Tell-tale Heart,” “The Raven,” “The Black Cat,” “The Fall of the House of Usher,” “The Masque of the Red Death,” “The Cask of Amontillado,” “The Murders in the Rue Morgue," “The Pit and the Pendulum” - and more! Hannah Tinti, Sam Allingham, Rachel Carpenter, Marie-Helene Bertino, and Robin Black from the literary magazine One Story join us for some terrific storytelling and revelry. Also joining us for this event is Flora Lee, a 40's-inspired musical act. Secret Cinema presents: "Bookworms' Revenge"
"Bookworms Revenge" - Various Short Films on the theme of Reading, Writing, and General Nerdy Bookness. 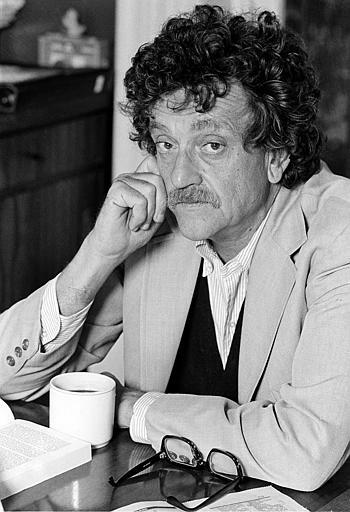 KURT VONNEGUT, JR.: A SELF PORTRAIT (1975, Dir: Harold Mantell) - The late and great author is captured in his own words, in his home and walking around New York City. REVENGE OF THE NERD (1983, Dir: Ken Kwapis) - Not to be confused with that Anthony Edwards feature film you're thinking of (that was made one year later, and with plural NERDS), this charming short film was initially seen on CBS' "Afternoon Playhouse" series. It follows a similar (if more concise) plot arc, however, with the titular hero using his superior skills with early microcomputers and other high-tech devices in an attempt to gain the respect of his intellectually inferior classmates. HOW TO USE THE READER'S GUIDE TO PERIODICAL LITERATURE (1966) - Surfy guitar music and a spy movie plot enliven what might otherwise be a rather dry instructional film, about...well, you know exactly what it's about. GRAMMAR ROCK (1973-4) - We'll unspool several episodes of this groundbreaking and much-loved short educational cartoon series, originally aired as add-on bits to regularly-scheduled Saturday morning television programs. Most feature the wonderful songwriting of Bob Dorough, and a post-psychdelic animation style that only could have been created during the early 1970s. If there's time, we may throw in MULTIPLICATION ROCK as well. The Latvian Society also features a full bar and lounge! Stay and enjoy the afterparty with DJ Joey Sweeney! Bushwick Book Club players Susan Hwang, Phoebe Kreutz, Duck and Swallow, Maria Sonevytsky, and Tom Curtin will be performing a selection of songs inspired by books from the last year of book club meetings, from The Origin of Species to The Watchmen! Philadelphia musicians will be performing songs inspired by Maurice Sendak's beloved children's book Where The Wild Things Are, written and performed exclusively for this event!! Performers include Flat Mary Road, The Great Swamp, Jubel Jenkins, and Emily Ana Zeitlyn! The 3rd year of this epic annual librarian dance party!!! Dance all night as librarians spin all manner of rock, glam, hip-hip, pop, and twee. We are requesting book donations for Books Through Bars at the event.